The March 19, 2019 federal budget was released last week, and along with it came a few hot topics advisors should consider discussing with clients now. After all, proposed changes to the Home Buyers’ Plan, stock options, and mutual funds will affect Canadians and their wealth management strategies in the coming years. In this edition of KBR, we’ll take a deeper dive on the RRSP’s Home Buyers’ Plan. One of the most discussed items to come out of the 2019 federal budget was the proposed changes to the Home Buyers’ Plan. For the RRSP Home Buyers’ Incentive, individuals with savings in their RRSPs will be able to tap into more of their savings on a tax -free basis under the Home Buyers’ Plan. An increase in withdrawal from $25,000 to $35,000 will be allowed; couples can thus withdraw up to $70,000 under the HBP. The increased withdrawal limit will also apply to the acquisition of a new home to be more accessible to a disabled person. However, the money will need to be repaid in 15 years or added to income, as per existing rules. This change will take effect after March 19, 2019. Along with an increase to the limit on RRSP withdrawals within the Home Buyers’ Plan, the federal budget introduced new rules to include couples who experience a relationship breakdown. Effective after 2019, couples who separate or divorce may participate in the Home Buyers’ Plan as individuals even if they don’t otherwise qualify as a first-time buyer. To qualify, an individual must be living apart from their former spouse or common-law partner at the time of the withdrawal and the separation must have occurred in the current or four preceding years. In addition, the taxpayer may not make a withdrawal if they move into a home owned and occupied by a new spouse or common-law partner. Where the purpose of the HBP withdrawal is not to buy out the share of the residence owned by the former spouse or common-law partner, the former principal residence must be disposed of no later than two years after the HBP withdrawal. Taxpayers who have an existing HBP balance may not make a new HBP plan withdrawal until the former plan withdrawal is repaid. In an attempt to make buying a first home a little more attainable, the March 2019 federal budget also announced that CMHC will be offering a shared equity mortgage to qualifying home buyers. First-time home buyers whose household income is $120,000 or less may qualify for a CMHC shared equity mortgage of 5% of the cost of an existing home or 10% of the cost of a new home. To qualify, the CMHC insured mortgage plus the CMHC shared equity mortgage must be less than four times their annual income. There will be no payments or interest accruing on the shared equity mortgage, but it must be repaid when the home is sold. It remains unclear whether the amount to be repaid on sale is the original amount provided by CMHC or a percentage of the sales price equivalent to the percentage of the equity invested. The program details are to be released later, but it is expected to be operational by September 2019. Information compiled from our Special Budget Report by Christine Steendam, Assistant Publisher at Knowledge Bureau. The big news: policy development and discussions relevant to their charitable activities can now can be pursued without limitation, as long as the charitable organization operates exclusively for philanthropic purposes. Charitable Purpose. CRA’s first recommendation allows charities to engage in the development of public policy and development without limitation, provided these activities are carried out exclusively for a stated charitable purpose. The CRA has developed and published a guidance document on the administration of this policy, which is open for feedback until April 23, 2019. Outreach Funding. Through its second recommendation, the government will provide up to $5.3 million in new funding in the period 2018-2019 to 2023-2024 to enhance charitable sector outreach, as well as education and internal education for employees. It will conduct in-person visits with registered charities to provide support that will help them meet obligations to maintain their charitable status. Charitable Activities. Recommendation 3 discusses changes to the rules that govern the political activities of charities. With Royal Assent on December 13, 2018, the new rules explicitly allows charities to fully engage (without limitation) in political activities. However, they must further a stated charitable purpose and cannot support or oppose any political party or candidate for public office, directly or indirectly. Jurisprudence. The government has also decided to discontinue its appeal of the decision in Canada Without Poverty v. AG Canada case which which restricted registered charities from participating in political activities that exceed 10% of its resources. This Ontario case was overturned as the legislative provisions at issue in the litigation are no longer applicable following the above-mentioned changes. This decision is controversial to some; the reasons for which are well outlined in an article from Mark Blumberg, July 2018. The Government is also providing $3.2 million in new funding to the CRA over the 2018–2019 to 2023–2024 period to support the ACCS in strengthening the relationship between the government and the charitable sector. Knowledge Bureau Report is interested on your take on the matter. At its core, the issue encircles the question: which political views should be subsidized through the tax system and which should not? You may wish to weigh in on the issue, as readers did when we asked our readers their views about changes to the charitable donations tax credit (see results of our previous poll.) At that time, financial professionals largely indicated that they were in opposition to new donation tax credits for a new category of donees that are non-profit journalism organizations that produce a wide variety of news and information. These organizations will be able to now issue receipts in the same manner as other registered charities. While the votes were split almost down the middle (58% no, 42% yes, from a total of 266 votes), the comments revealed that most agree about one fundamental concept: having taxpayers receive such large refunds means that the government is getting significant interest-free loans from taxpayers, and that’s not ideal. The debate itself came down to a behavioral finance factor: taxpayers look forward to these returns and factor them into their financial planning each year, whether it’s the most strategic approach or not. So, reducing CRA tax withholdings means that many advisors have to re-align their clients’ way of thinking and their approach to money management – and they were divided on whether or not that could be effective. Here are some comments from those who voted “yes” – which weren’t that different from many of the “no’s,” demonstrating why this is such a complex issue to debate. Thank you to everyone who weighed in on February’s highly-debated poll question! This month, we’re changing gears and asking: “In your opinion, is it as difficult to envision life after retirement as it is to save for it?” Vote now! There’s nothing like a good house flipping show to get you thinking about the cash potential in your own home. The house flipper approach is to buy homes, live in them short-term while fixing them up, and then sell them; often for big profits. It sounds simple, but it’s not a foolproof strategy, because it comes with tax risks. When done often, house flipping can raise eyebrows at the CRA. Learn how to flip with care, and understand the principal residence rules that could diminish your profits, or worse. Though the housing market has recently cooled somewhat, the deposition of real property still has the potential to be very lucrative. This is especially true if you earn one tax-exempt capital gain after another using your principle residence exemption. But it’s not a claim that’s guaranteed – there are, in fact many grey areas in the burden of proof all taxpayers have in their relationship with the CRA. It’s important to understand these ahead of tax filing season. In the case of the sale of your principle residence, the CRA looks at your intention at the time you purchase the home as well as how many times you made similar transactions. If you buy and sell real estate too often, the CRA may disallow your claim for the principal residence exemption. Even worse, they could disallow the capital gains treatment that comes with a 50% inclusion rate. This circumstance requires the reporting of 100% of the gain as a gross profit if they get the impression you’re in the business of buying and selling homes. So where is the line drawn that determines whether profits are tax-free or classified as business income? The more closely your business or occupation is related to commercial real estate transactions (i.e. if you are a real estate broker or builder), the more likely it is that any gain realized from such a transaction will not qualify for the principal residence exemption at all and be considered business income rather than a capital gain. The courts have considered some of the following criteria on a case-by-case basis to guide us in assessing the right tax filing requirements. Your principal residence can be a great source of wealth, especially if you can use the principal residence exemption to pocket tax free accrued gains. But a warning to potential house flippers – know the tax rules. Your principal residence exemption may be at risk if you don’t follow proper tax filing procedures. And keep this important tax fact in mind: all principal residence dispositions, whether tax exempt or not, must be reported on your personal tax return. 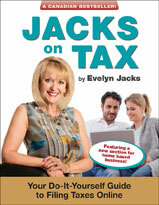 Excerpted from Essential Tax Facts by Evelyn Jacks, 2018 edition. The new 2019 version is available for pre-order by calling 1.866.953.4769 now. Don’t Miss the RRSP Contribution Deadline: March 1. The CRA officially began accepting electronically filed tax returns this week, but you may want to slow down and observe an important tax savings opportunity before you rush to file. Contributions to your Registered Retirement Savings Plan (RRSP) for the 2018 tax year ends on March 1, 2019. Besides reducing your tax bill, you could score even bigger returns: increased refundable and non-refundable tax credits. To contribute, you have to have contribution room, which you can calculate yourself. Earned income includes employment income, net income from a proprietorship or rental property, net research grants, disability amounts received from the Canada Pension Plan and taxable support payments received. Or you can find your contribution room on your 2018 Notice of Assessment. Keen savers can get a head start on their 2019 RRSP now. Your 2019 maximum contribution amount is 18% of your earned income in 2018 to a dollar maximum of $26,500. Plus, any unused contribution room carried forward from 2018. The $26,500 amount is reached when 2018 earned income hits $147,222. Your contribution room is also reduced by your Pension Adjustment (PA); which is generated if your employer contributes to a Registered Pension Plan or Deferred Profit Sharing Plan for you. Your contribution room may also be reduced by any Past Service Pension Adjustment (PSPA). If you leave your employment and have a Pension Adjustment Reversal (PAR), your RRSP room will be increased. As you build RRSP contribution room, any amounts that are unfunded from prior years are carried forward throughout your lifetime for use in the future so long as you are eligible to contribute to your own or your spouse’s RRSP. By the end of the year in which you turn age 71, your RRSP must be converted to a RRIF (Registered Retirement Income Fund) or an annuity, and you can no longer make contributions. But, unused RRSP room can still be used to your advantage even if you are age ineligible. If you have a younger spouse, you can make Spousal RRSP contributions (a contribution to a plan under which the spouse is the annuitant) and still claim the deduction on your tax return so long as the spouse is age eligible. Your next step is to see your tax or financial advisors to help you calculate and contribute to your RRSP in the most advantageous manner. Author Evelyn JacksPosted on February 22, 2019 Categories Income TaxLeave a comment on Don’t Miss the RRSP Contribution Deadline: March 1. So just how do you build a team culture that accomplishes maximum participation towards a single vision for success and common goals, especially in times of great stress? Establish your leadership – This refers to your own role as the founder, leader and master keeper of the vision. Before you can start building an effective team, you need to develop the right kind of leadership skills yourself. This does not mean asserting authority, but rather fostering trust, honesty, integrity and transparency in your leadership style (do what you say you will do). If your employees trust your judgement, they will not only follow your lead, but also work effectively when you are not around. Establish relationships with each employee – Get to know your people as individuals. This means learning their skill-sets, what motivates them, their work habits and future goals. Regular, ongoing communication on a one-to-one basis will be an effective way of achieving this. This knowledge will prove extremely valuable to you, as it allows you to match each employee’s expertise and competencies to your organizational plan, and will help increase both productivity and job satisfaction. Additionally, including your employees in decision making as much as possible instead of just delegating tasks, giving them open-ended projects where they select the process and timelines and determine the best solution, will ensure you are developing your people along with the company. Build relationships between your employees – As your team begins to work together in harmony and cooperation, examine the way they work together and communicate with each other to see how you might encourage a deepening of the inter-relationships of your team members. Stronger relationships between your employees also means deeper trust and respect. If there are conflicts, try to resolve them amicably by encouraging them to understand each other’s perspective and mediate where necessary. One way to do this is to brainstorm solutions, which also helps empower them and may lead to new creative solutions to a problem. Foster teamwork – Once you have established relationships with and between your employees, you will be able to focus on helping them work together effectively. Encourage your team to share information both amongst themselves and within the larger organization. Having an effective communication system and not being afraid to ask your team members how they feel can go a long way to improving teamwork. Knowing and understanding what others are working on and how they are contributing to the vision and success of the organization helps improve working relationships. Compare countries where the leaders take the time to meet and understand each other’s culture and challenges (like the G7) with those who try to operate isolated from the rest of the world, and you will understand how better solutions come from working together toward a common goal with regular, ongoing communication. Evaluate performance – You will be able to assess your team’s performance not only on a fiscal basis, but also in terms of how effectively they display and preserve the values and culture of your company. This means that you will be able to evaluate the performance of your team as a whole alongside their individual performance. While great financial KPIs (Key Performance Indicators) and positive bottom-line results are one measurement of success, the turnover rate of your employees will also provide an indicator of whether you are operating with a high-performing team. We have all seen companies that have a revolving door of employees and are constantly in a training mode, so that their ability to focus on the longer term is challenged. On the other hand, a company with a well-developed and cohesive team and employee tenure above industry averages is very valuable in a succession plan. No matter how smart, talented, driven or passionate you are about your business, your success as a leader depends on your ability to build, inspire and sustain a team – and get results. You are accountable to that, and the stakes are high. Just consider the recent firing of the Anaheim Ducks’ coach, or the recent troubles experienced by the British and Canadian Prime Ministers who have challenges within their teams. Thought leadership: The successful leader is one who can recruit and grow a great functional team who are motivated by the leader’s vision and plans to execute on it. There is no doubt that functional teams outperform individual greatness by a very high margin. But just as true, is that dysfunction within the team needs to be quickly recognized and nipped in the bud. That’s even more important when you know that rough waters could lie ahead. The CRA has been provided funding of $79 million over a five-year period, and $15 million on an ongoing basis, to support the development of an electronic platform for processing T3 returns. The goal: to address the government’s concerns about “significant gaps” in trust filing. By the year 2021, there will be new requirements for filing trust returns, and advisors in tax and financial services will need to come up to speed on this issue. Specifically, certain trusts (including some trusts that are not currently required to file a T3 return) will be required to file and report the identity of all trustees, beneficiaries and settlors of the trust. In addition, it will be required that trusts report the identity of each person who has the ability to exert control over trustee decisions regarding the appointment of income or capital. This initiative was first introduced by Finance Canada, in the February 27, 2018, federal budget. The commentary noted that a trust that does not earn income or make distributions in any given year is generally not required to file an annual (T3) return of income. Rather, a trust is required to file a T3 return if the trust has tax payable or it distributes all or part of its income or capital to its beneficiaries. In the 2018 budget, there is no requirement for the trust to report the identity of all its beneficiaries. An express trust, as defined in the budget documents, is generally a trust created with the settlor’s express intent, usually made in writing (as opposed to a resulting or constructive trust, or certain trusts deemed to arise under the provisions of a statute). In summary, what needs to be reported: the identity of all trustees, beneficiaries and settlors of the trust, as well as the identity of each person who has the ability (through the trust terms or a related agreement) to exert control over trustee decisions regarding the appointment of income or capital of the trust (e.g., a protector). Additional late filing penalty: 5% of fair market value of trust assets (minimum $2,500) where the failure to file the trust return was made knowingly or due to gross negligence.